Today is our birthday. 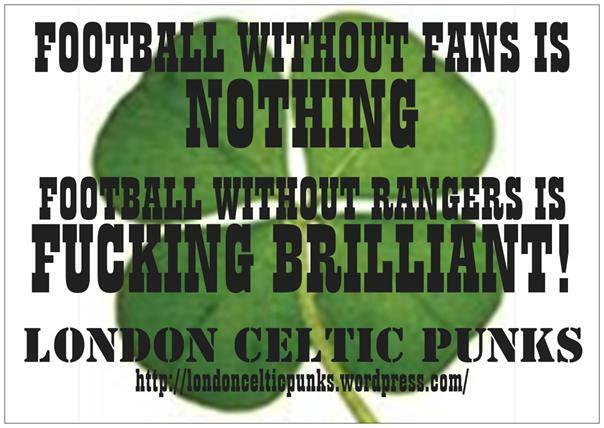 The 30492 – London Celtic Punks blog was born today on the 7th July, 2014 . It’s been an enjoyable slog I must say and it’s been an pleasure to meet so many like minded people. There is plenty more to come from us and we just hope that we can continue to introduce you to good music and good craic for many years to come. One thing that we have been asked more than any other is how is the word ‘Celtic’ pronounced. For us over here in England it seems pretty natural but I can see how it can be a bit confusing if you are from overseas. During the so-called Celtic Twilight period in the late 1800s and early 1900s both hard c (‘Keltic’) and soft c (‘Seltic’) were used. The word Celt is derived from Keltoi, which is the name the Greeks gave the ‘barbarian’ tribes along the Danube and Rhone rivers. The Romans borrowed the Greek name, but spelled it ‘Celtae’, and the word entered French in the form ‘Celtes’, from which the English derived Celt. In French the soft c pronunciation is standard for ‘Celtique’, following standard French pronunciation rules. The Irish (‘Ceilteach’) and Breton’s (‘kelt’-ethnicity and ‘keltiek’- language) both use a hard c sound. Modern Breton also has a word ‘Keltia’, meaning the Celtic world. The Celtic Twilight period was also around the time when many sporting organisations were springing up with the name Celtic in them. Most were based outside of Ireland and were formed either by first or second generation Irish immigrants. The most obvious being of course Glasgow Celtic in 1888 but their are many other great examples. Dewsbury Celtic Rugby League Football Club (1879) are the oldest Irish sporting organisation outside Ireland. Formed in 1879 when the Irish escaping post-famine poverty and hunger arrived in Yorkshire to work as labourers and in the local mills. They settled in the Irish ghetto of Westtown and formed a rugby club which soon after changed to being a football club before changing again shortly after and returning to rugby. They began life as Dewsbury Shamrocks and changed their name in around 1910 to Celtic. The club today are based in Irish National League Club in Dewsbury and play in the National Division of the Rugby League Conference. The club field a dozen or more youth teams and are doing an absolutely amazing job of keeping alive the ‘Celtic’ spirit and traditions in West Yorkshire. As more and more Irish flooded into England and Scotland football teams like our very own (1888) and Stalybridge Celtic (1909) or Farsley Celtic (1908) in the north of England were established and then later in America the Boston Celtics Basketball Club (1946). These are all referred to with the soft c pronunciation and the modern convention is to keep the soft c pronunciation to refer only to sports teams. The use of the hard c version in cultural matters indicated, until recently, that the user was somewhat knowledgeable in these matters. This has changed since Riverdance, Titanic, etc., and also the use of the term ‘Celtic Tiger’ to refer to the improved economy of Ireland and Scotland. Personally I would use the hard k when talking about Celtic culture, language or traditions except when talking about sporting clubs but to be honest both can be ‘korrect’!! I reckon Odysseus had it relatively easy. Okay it took the Greek ruler and hero of Homer’s Odyssey ten years to return to his Ithaca home following the Trojan war, battling various cannibals, witches, ghosts and six headed monsters along the way. But it pales a little compared to the story of FC United of Manchester’s ten year journey home. Ten long years it’s taken us but on Friday 29th May 2015 the Northern Premier League champions welcomed the Portugese champions Benfica to the opening of Broadhurst Park, our very own Ithaca. What an epic journey it’s been for those seeking asylum from the Glazer regime, grafting relentlessly to raise the small matter of the £6.3 million needed to build the ground at a time when the economy is on its arse, dodging the slings and arrows of the planning process and coping with other obstacles like having to find another site for the ground after Ten Acres Lane fell through, the judicial review, contractors going out of business and Japanese knotweed. Finally though we’re playing football in Manchester and have our own ground, somewhere to call home. And we moved in one day short of ten years since the public meeting at the Apollo theatre when the idea of FC United was discussed. Odysseus? Pfffftttt. 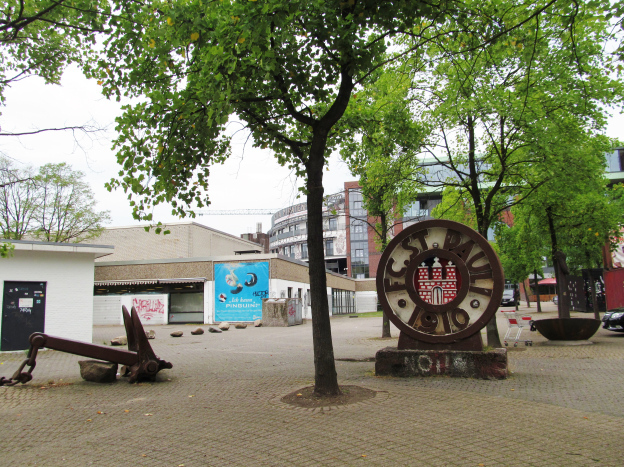 For FC United it all began at a venue named after a Greek god no less. There must have been around two thousand of us at the Apollo on Ardwick Green on that warm, sunny bank holiday Monday. I’d been to Chester for the weekend and the street stalls flogging t-shirts celebrating the “miracle of Istanbul” had done nothing to improve my mood. May 2005 had been a thoroughly dismal month to be a Manchester United supporter following the hostile takeover by the Glazer family. The rather forlorn looking red wristband on my left wrist said, incorrectly, “not for sale”. Yet somehow I’d convinced myself that all was not lost and that with a concerted “fight from within” we could still send the Glazers packing. The protests, flash mobbing and boycotting of sponsors would have to continue and surely we’d have to boycott games too. It wouldn’t be easy but if any set of fans could do it it had to be us. Love United Hate Glazer. The FC United breakaway club thing sounded like a good idea but it probably wasn’t for me. I’d gone along to the meeting at the Apollo primarily to find out what the plans were for the next stage of the fight to get rid of the Glazers but something changed for me that afternoon and I’m not sure exactly what it was. Maybe it was those ace t-shirts with the fist and the “our club, our rules” motif. I’m always a sucker for a political slogan or two. Maybe it was hearing Kris Stewart from AFC Wimbledon describe forming your own football club as “the best thing you will ever do”. Or maybe it was re-reading the photocopies of that stirring “think about the future” article about FC United that appeared in Red Issue back in February 2005 as the Glazer takeover loomed large. The meeting got me thinking, like perhaps never before, about what a football club actually is. Is it the team and its players and manager? The football ground itself? The directors and shareholders? Or is it something less tangible than that? What is apparent is that without supporters football is nothing. Take away that passion and noise and colour and all you’re left with is twenty two people kicking a bag of wind around a patch of grass. So, if that’s the case, surely the best way to secure the long-term future of any football club is to entrust the ownership and running of it to the very people without whom it would be nothing; the supporters. Maybe, just maybe, something beautiful could emerge from this wreckage. More than one thousand signatures of support for FC United were received from that meeting. Mine was one of them. So it was that on a muggy August day I found myself on a bus to Leek heading to FC United of Manchester’s first ever league game against Leek County School Old Boys in the North West Counties League, six divisions below the football league and ten divisions below the Premier League. Me and a mate arrived early to watch United in the lunchtime kick-off versus Everton at Goodison Park in a back street pub. The place was rammed and as more fans drifted in during the first half one of them glanced over at the screen on his way to the bar and said something, not too complimentary, about “the other lot”. Sat in that pub in Leek town centre I still felt like a United supporter and when “we” eventually ran out 2-0 winners that felt like the main event of the day. If FC won as well that would be great, but I wasn’t going to lose any sleep over it. It still felt like a protest. As hundreds of us walked through the rain from the pub to the ground, singing anti-Glazer songs, it wasn’t unlike that pre-match march before the AC Milan match six months before. And for much of those first two seasons in the North West Counties League it continued to feel like a protest. We carried on singing the songs about Glazer, Gill, Fergie and Rio and what happened on the pitch was, at times, almost incidental, the noise of the crowd often not matching the ebb and flow of the game. At some point though this changed. The third round FA Vase tie against Quorn in December of the second season was undoubtedly a turning point for many as an FC side down to nine men with half an hour of the game to go battled valiantly and unbelievably took the lead with only a few minutes left. The Manchester Road End went bananas. 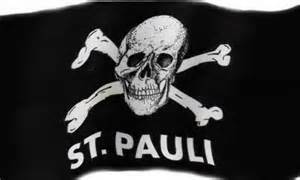 This, all of a sudden, was a football club, our football club not just a protest movement. “We” eventually lost 3-2, cruelly in the last minute of extra time but it was a seminal moment nonetheless. There have been some great memories on the pitch that have been wonderfully documented by better writers than me elsewhere but some of my proudest moments of the last decade have occurred off the pitch. Pay what you can afford season tickets. The vote to ban Sky and any other pay per view broadcasters from a future ground. The refusal to speak to strike breaking BBC journalists the day after the FA Cup win at Rochdale. The continued principled stance taken against shirt sponsorship. Being recognised as community club of the year in 2011-12. Raising more than two million pounds in community shares. The annual Big Coat Day. The recent vote to choose not to work with any organisations who operate the government’s shameful policy of Workfare. Boycotting the Curzon Ashton game in December 2007 after the kick-off time was moved for television purposes. Becoming the first football club in the country to adopt the Living Wage. The assistance and advice provided to other supporter owned clubs (as AFC Wimbledon did for us). And, of course, the wonderfully irreverent pre-match Course You Can Malcolm nourishing us with music, poetry, comedy, theatre and fairly priced food and ale. On that Friday evening against Benfica, there was a tear in my eye as I stood on that magnificent terrace behind the goal. After years of pound for the ground draws, standing orders for the development fund, sticking loose change in barrels, community shares, crowd funding and the rest we finally have a place to call home. It’s wonderful that something so beautiful and so positive has emerged from the years of protesting and being told to “sit down and shut up” and that “it’ll all be over by Christmas”. Broadhurst Park is a monument to Mancunian defiance and a reward for the assorted oddballs, subversives and “real ale hooligan socialists” who had the courage to stand up and prove that there is a better way for football. It felt apt too that Benfica, with the largest number of supporter members of any football club in the world, were our guests for this special occasion. Like Broadhurst Park, their original Estadio da Luz home was built primarily with funds donated by their fans. As I tucked into a bottle of Two Hoots in that lovely, make-do-and-mend space beneath the St Mary’s Road End before kick-off I, strangely, found myself thinking back to the summer of 1991 when Manchester United were floated on the Stock Exchange. Arguably the very beginning of a timeline that has brought many of us to Broadhurst Park. It was a few weeks after Rotterdam and having recently shelled out for a season ticket for next season I had to borrow some money from a mate to scrape together the minimum share investment of £190. Despite the cost, it felt great to buy those fifty shares and have a stake, no matter how small, in the football club I loved. Somewhat naively I thought that this could be the start of something beautiful; a Manchester United owned by its supporters. I didn’t realise at the time that the primary motive for floating the club on the Stock Exchange was to raise money for the redevelopment of the Stretford End, to transform it into an all seater stand following the Taylor Report. It was reckoned that the rebuilding would cost around twelve million pounds with roughly £6.7 million to come from the share issue. That figure is uncannily similar to the cost, twenty four years later, of the entirety of Broadhurst Park. When the Glazers took over in 2005 I got a cheque for my United shares. Unbelievably those shares purchased in 1991 were worth a staggering three thousand pounds by 2005. Usually I’d be delighted to be sent a cheque for that much. But this felt like a kick in the teeth. A recognition that my stake in Manchester United was no longer needed, no longer welcome. A symbolic moment. In that summer of 2005 I gave some of that money to FC United, one of thousands to do so, to allow the club to get through its first season. Since then we’ve all invested our time, our skills and our hard earned cash to get us this far safe in the knowledge that this time no one with a big wallet and a smart-arse business plan can pinch it off us. This is ours. 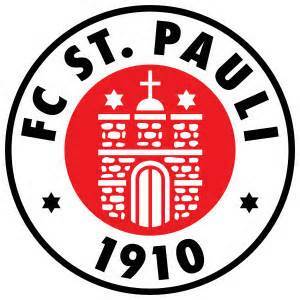 This football club. This ground. It’s ours. It’s been a remarkable ten year footballing odyssey. re-printed from the excellent blog ‘NOWT MUCH TO SAY’. 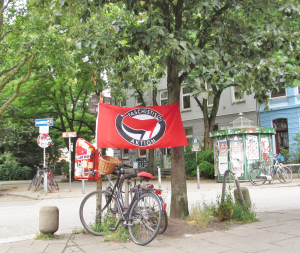 head over there now by pressing here to find more from a London based politically and footballingly red and founder member and co-owner of FC United of Manchester. This is Stephen O’Donnells second book and the follow up to his critically acclaimed debut Paradise Road (which you can read our review of here) which told the tale of Scottish football prospect Kevin McGarry on his journey through life as he grows from a banter-loving teenager to the sudden realisation of being a directionless 30-something with but one constant in his life: Celtic. Its a great read and one which will bring out a wry smile in any Celtic supporter but with the publication of ‘Scotball’ Stephen has surpassed himself. Scotball tells the story of Peter Fitzpatrick. 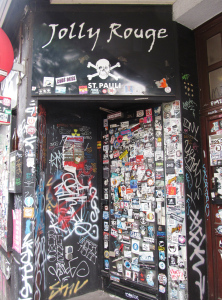 He has spent five years in Prague, enjoying the Bohemian lifestyle and everything that it entails, but he has itchy feet. He has married a local, Czech girl who expresses an interest in seeing and learning about his country so, short of money, he decides to return home to his native Kirkintilloch in the West of Scotland. After moving back in with his parents and reacquainting himself with his old friends, he resumes the career in banking and financial services that he abandoned just before the credit crunch hit. He feels unfulfilled however. His application to host a television programme discussing the hot topics relating to Scottish football is summarily rejected by the national broadcaster, but as the country moves towards the independence referendum he revisits the idea, and this time it finds favour in the new media environment. ‘The Scottish Football Debate’, or ‘Scotball’ is born. The show is an instant hit; it tackles the problems relating to the game in a more forthright and intelligent manner than people are used to hearing and reading about in tabloid newspapers and commercial broadcasters. It is considered refreshing and wins praise for being uncluttered by the customary agendas and petty grievances which usually distort and disfigure these types of shows. The programme runs successfully for two full seasons, debating and discussing such previously taboo subjects as sectarianism, declining standards in Scottish football and the pejorative influence of finances and a too powerful media on the game, when the biggest story in the history of Scottish sport begins to unfold, namely the liquidation of Rangers. Gradually the free reign that the show was permitted for open discussion begins to be checked and …well you’ll just have to buy the book won’t you! Written in Glasgow dialect its still very easy to follow and is full to the brim with moments of humour and pathos and in the light of the tragic defeat of the Scottish Independence vote and the mass media’s blatant propaganda on behalf of the unionists many events in Stephen’s book ring entirely true. Congratulations on a riveting and entertaining read Stephen. In a world of dreadful books written both by footballers (or ghost writers we really should say!) and about football ‘Scotball’ sticks out like a bloody sore thumb! Stephen O’Donnell was born in Glasgow and after working in Scotland, London and Prague, he has returned home as a full-time writer. Currently halfway through his next book, Stephen is a welcome addition to the Scottish literary scene. The last couple of years have given rise to the power of football fans on the internet, and the bampot blogger in particular. 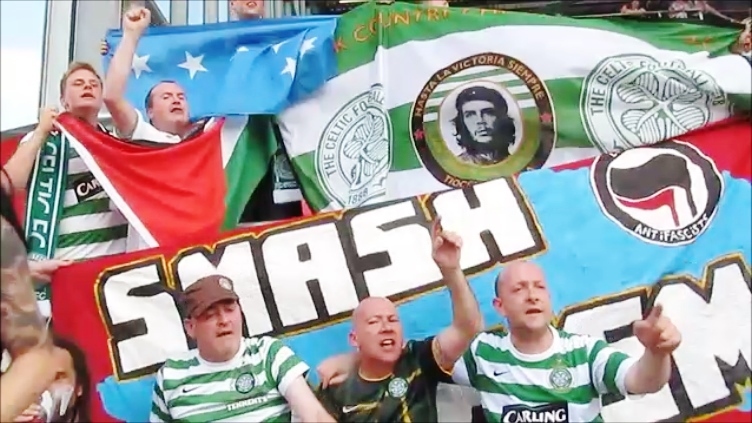 Celtic fans have led the way here, having long since established a plethora of quality sites which cater for every facet of the club’s diverse support. In the last 6 months it feels as is there has been a rush to bring out books on all things Celtic too. From highbrow quality journalists getting in on the act to self-financed and self-published efforts: as you can imagine the quality varies. However, we have to celebrate Celtic fans looking to add to our rich heritage with books which put the club at the focal point of the story. 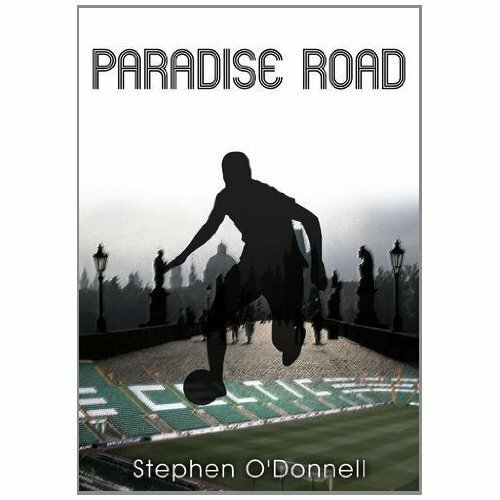 In Stephen O’Donnell’s Paradise Road (which I keep bloody thinking of as Paradise Lost) we have a fine addition to the growing canon of literature celebrating Celtic’s rich past. The story follows erstwhile Scottish football prospect Kevin McGarry on his journey through life – so familiar to man -, as he grows from a banter-loving teenager to the sudden realisation of being a directionless 30-something with but one constant in his life: Celtic. But through the chronologically delivered narratives we learn that Celtic has been anything but constant itself. Anyone who started supporting Celtic in the mid-80s has evolved with the club. Its metamorphic change from a dying institution in a ramshackle stadium to a pristine business with £££s dominating the fans’ mind more than the fare on the pitch at times has been remarkable. People of this vintage will feel a particularly close affinity with O’Donnell’s central character. 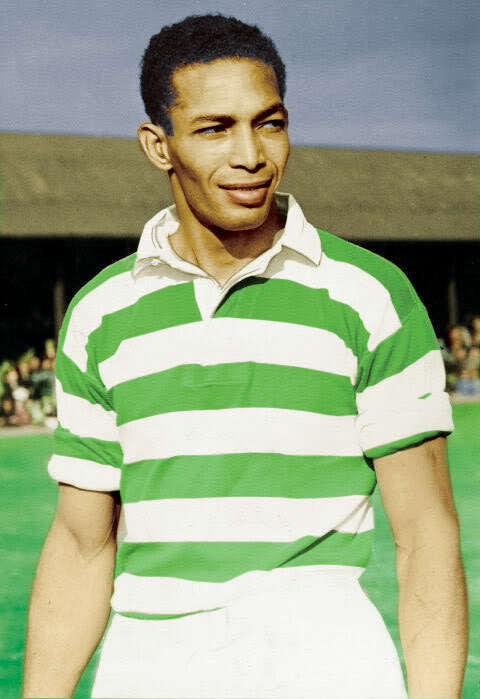 The Kirkintilloch lad narrates to us stories of his ‘best years’, inevitably with Celtic’s travails always providing the canvass on which his life is drawn out. There are stories of girls dumped for football, girls met because of football and him being dumped by a girl because of football. You get the gist. Paradise Road is to all intents and purposes a collection of witty anecdotes weaved together into a fine novel. The timeline is mid-80s to present day (almost). Through this period we see McGarry grow frustrated with the commercialism of the game. 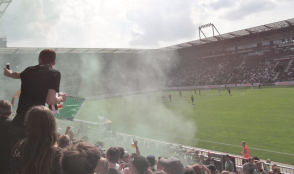 His yearning for the camaraderie of the smoke-filled bus to the match, or terracing, or smuggling booze into the game marks him out as a whimsy character always craving something that he can’t quite get. McGarry wants emancipation; he just needs to find out what it is he needs to break free from. And thus it becomes clear that Paradise Road is a character novel based around Celtic, not the other way round. McGarry’s journey could easily be told against the backdrop of an obsession with music, for example. 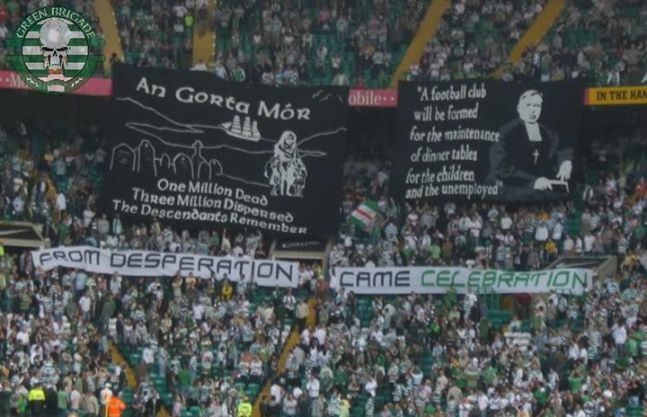 What makes it relevant to us as Celtic fans is how O’Donnell skilfully explores the changing political and economic landscape that accompanied Celtic’s own rebirth following McCann’s takeover. McGarry is an observant narrator often going on tangential rambles about one thing or another. These breaks add a richness and intelligence to a novel with a fair few laughs at the crude end of the scale too. There are also breaks from McGarry’s first person narrative. In a style very reminiscent of Irvine Welsh, O’Donnell treats us to stories as seen through the eyes of characters close his main man and he brings the central threads together in a closing chapter in the beautiful city of Prague. Paradise Road is a fantastic read. The short, sharp chapters make it easy to devour and the affinity most Celtic fans will feel with Kevin McGarry is palpable. But this is not a book about Celtic fan, Kevin McGarry. This is a book about Kevin McGarry, Celtic fan. The difference is small but the impact is great. Well worth a read. 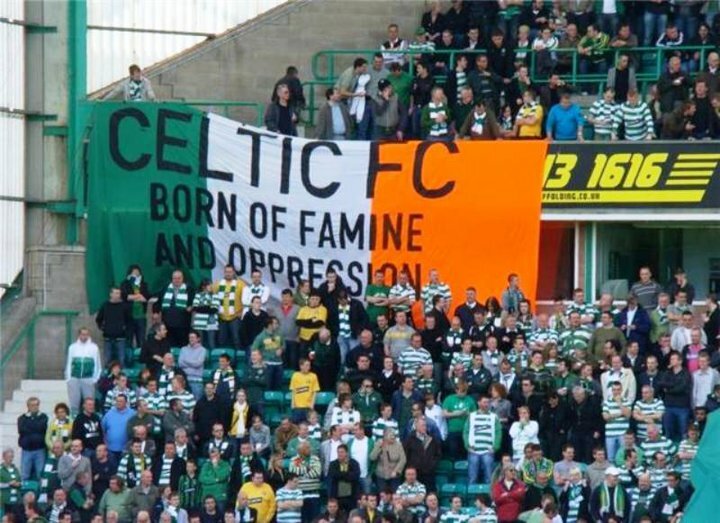 Tomorrow Celtic Football Club take to the field against Dundee United and afterwards will collect the Premier League trophy with the National Famine Memorial Day logo on their shirts. Without a doubt the ‘famine’ transformed Ireland changing the island forever. 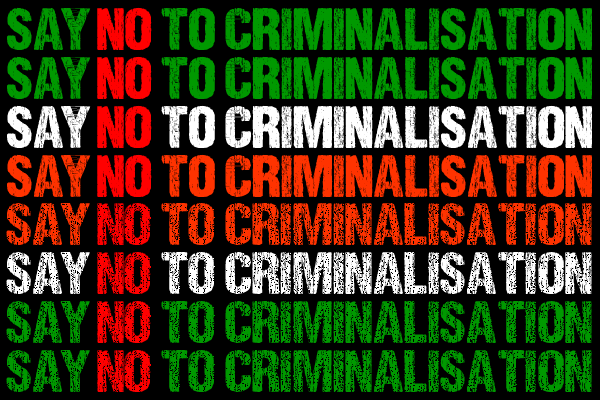 The impact on the people and the legacy of emigration, loss and decline of the Irish language are still with us today. Famines are generally thought of as periods where there is not enough food. The result is starvation, economic breakdown and chaos, sometimes leading to total disintegration of the social fabric. From 1845 through to 1852, Ireland, whose poor existed on a diet almost entirely based on the potato, experienced a potato crop failure that caused unbelievable hardship and wiped from the country over one million dead and over three million forced to flee for their lives. 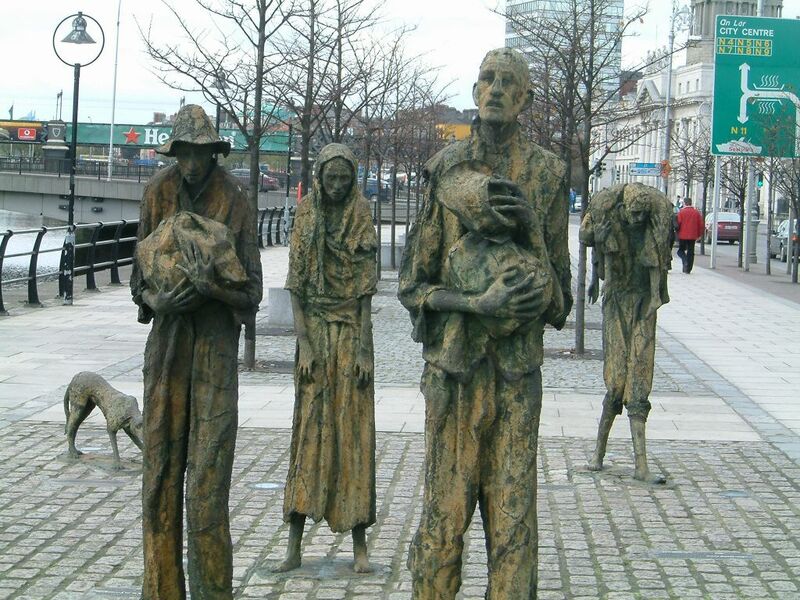 Many never even reached their destination before the effects of the ‘famine’ overtook them. The incredible fact is though that Ireland continued to produce plenty of food during this period. However, it was all exported. Exporting food was far more profitable for our colonial ‘masters’ than making it available to the starving and dying. If we look into this topic just a little, you have to conclude that the suffering of our ancestors was caused by something far more horrible than crop failure. Indeed, the policy response to the crop failure was so horrific, that respected historian Tim Pat Coogan terms it ‘genocide’. An deliberate attempt was made to wipe the Irish Catholic off the island of Ireland. So, why use the word ‘famine’? The reason is simple: The Irish government; academics and a host of other entities use that label, and as such, it refers to the horrors suffered by the Irish during the years 1844-1851. So, while famine is not correct, most know what the label refers to. I think the greater problem we face is indifference of the Irish diaspora. There are seventy, perhaps eighty million people worldwide who trace their roots back to Ireland. The vast majority of these people have little knowledge of the horrors and ignore it. ‘Long ago and far away’. We want ALL of them to acknowledge the horrors of the 1840’s. Pause for one minute on Commemoration Day, May 10, and spare a thought or a prayer for not just those poor souls lost at home but also those spread out across the globe. it really is an excellent site and i cannot recommend it enough and i would urge all of you there with haste.